Every morning we start our day with Morning Time. This peaceful way of easing into our day is something I cherish. Often in this time, I read-aloud from a variety of books. Since we were studying Newfoundland & Labrador, I made sure that the books I chose were related. The novel I read was: The Nine Lives of Travis Keating. This story is based in Newfoundland & Labrador and involves themes such as death, grief, bullying, and animal cruelty. Though it was an intense read, my girls enjoyed the book. We had many discussions specifically about grief and bullying as a result of this book. 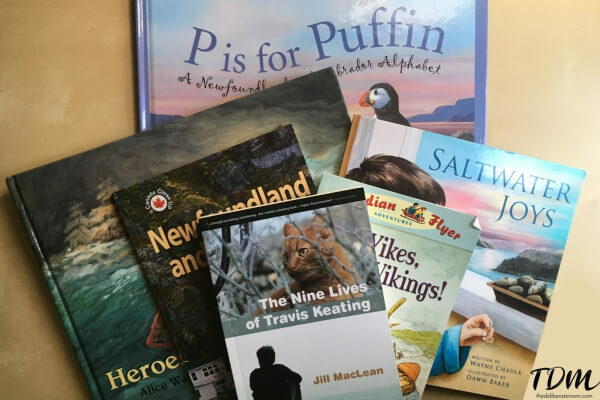 P is for Puffin: A Newfoundland & Labrador Alphabet was another great book. I was hesitant about this book before I dove into it with my children because my girls are 10-years-old and 7-years-old. I was concerned they would think an alphabet book was babyish, BUT this book is a very educational read! 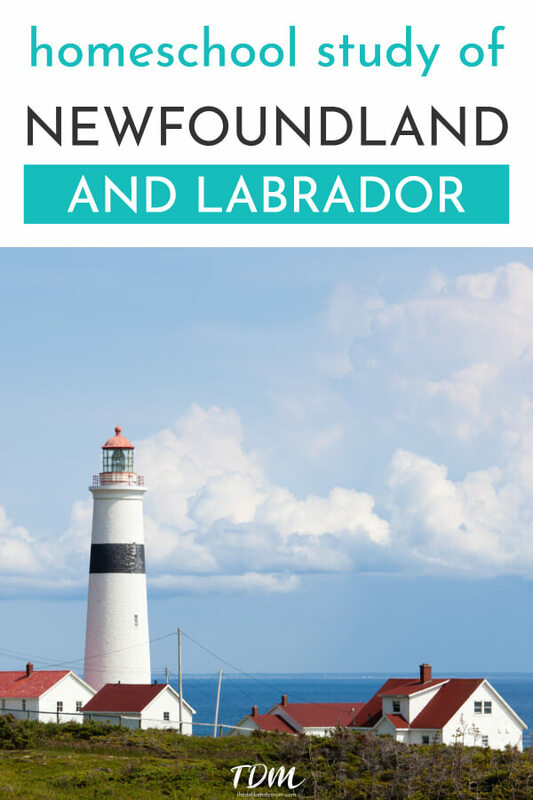 We learned so many wonderful facts and details about this province as a result of this book! We read 1-2 letters of the alphabet per day throughout the month. I highly recommend this book! Heroes of Isle aux Morts is a picture book based on the true story of 1832 the shipwreck of the Despatch. Through this book we enjoyed learning about the heroism of the Newfoundland dog. Saltwater Joys was another fabulous picture book. Of course we listened to the song too! 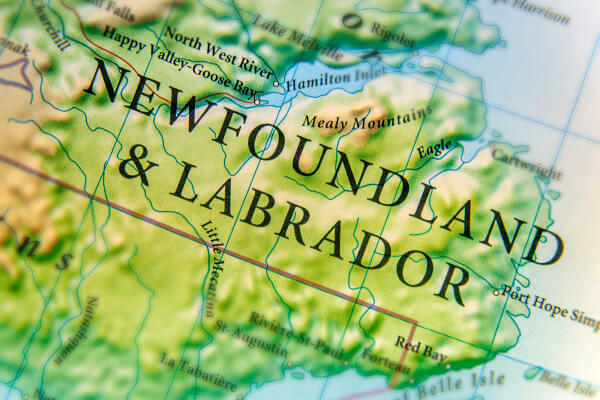 Canada Close Up: Newfoundland & Labrador gave us detailed information about this province. We read 1-2 chapters per week throughout the month. Since Vikings were a part of the Newfoundland & Labrador history, I included the book Yikes, Vikings! (from the Canadian Flyer Adventure series) in our readings as well. We watched many videos throughout the month. Most of the videos were provided by links through The Canadian Adventure Online Edition. The videos were beautiful and many times it felt like we were seeing and experiencing the sights of Newfoundland & Labrador. We discussed his artwork in detail and my girls memorized the names of each piece of art. We also made sure to cook a recipe that is known to the area. 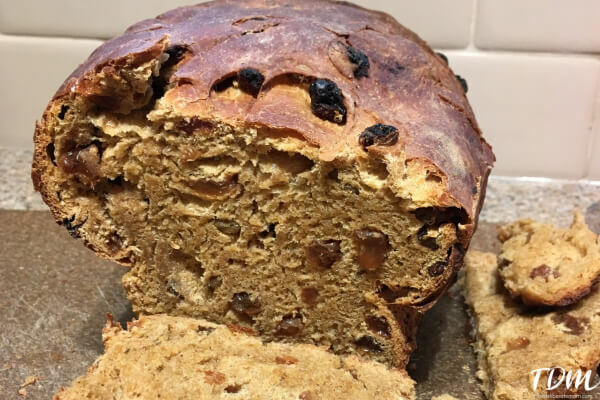 We made traditional Lassy Bread (which is a molasses bread). Everyone LOVED it! Of course we made sure to listen and dance to some traditional Newfoundland music. We wrapped up our study of the province with collages. 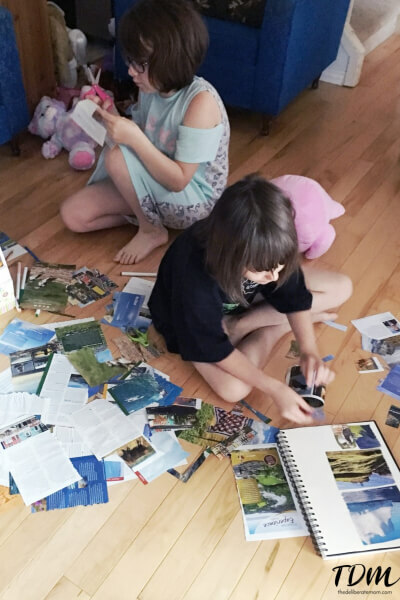 I had gathered tourist guides and my girls cut out pictures that they felt depicted what they had learned about Newfoundland & Labrador. It was a thoroughly enjoyable and educational activity. The month-long study of Newfoundland & Labrador was fabulous. All of us learned so much from the experience! I can’t wait to study our next province… Nova Scotia! « « Help Your Kids Beat the Summer Heat With These Tips!